An exhibition of fashion dolls from the collection of Julie Manley. A display of over 500 dolls dressed in historical fashion, ethnic clothing and couture, including costumes from film and television series. Julie started collecting fashion dolls in 2000, repainting and customising all in some way. Many of the outfits have been designed and made by the collector. 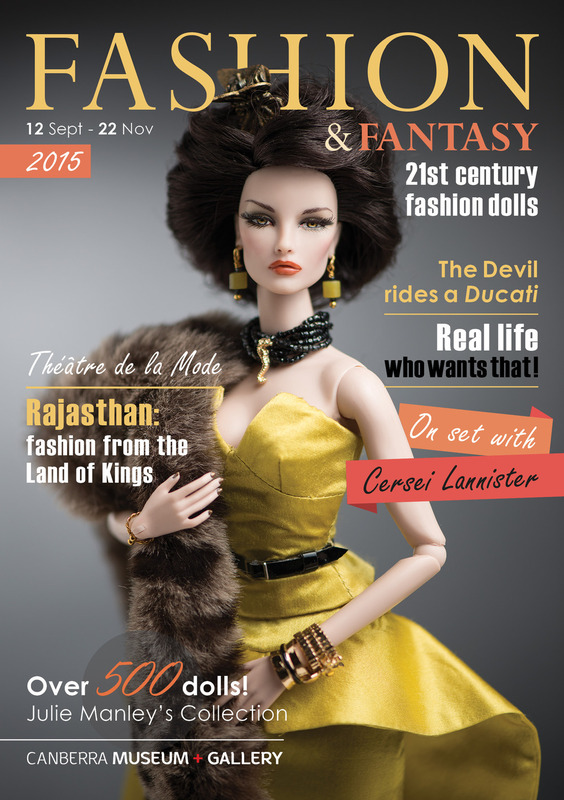 Julie Manley’s collection of fashion dolls combines her loves of sewing, fashion and women’s history. She started making dolls’ clothes when she was a small child, graduating to using patterns for fashion dolls and making more complicated items as she got older. Julie trained as a potter at art school and also has a degree in art history. She started collecting fashion dolls seriously in 2000. They have all been repainted or customised in some way by Julie; she repaints the dolls’ faces and has designed and made many of the outfits. She now travels to the annual Integrity Toys convention in the USA and won their ‘One of a Kind’ competition in 2011. Her collection includes dolls dressed in historical fashion, ethnic clothing and couture and also features costumes from film and television.